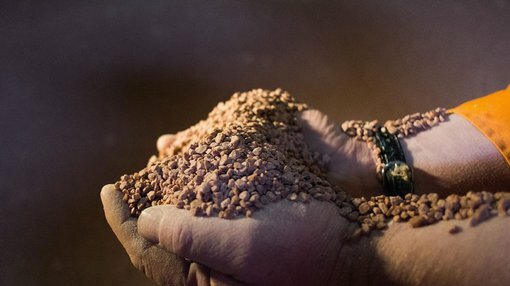 Plymouth Minerals (ASX: PLH) has completed the second Phase 1 drillhole (BA002) at its Banio Potash Project in Gabon. The company is targeting an area within the Gabon section of the Congo Basin, interpreted to be prospective for shallow sylvinite and carnallite. Results from the second hole have proved promising as they confirmed the presence of multiple potash beds. As a backdrop, PLH owns 100% of the Banio and Mamana Potash Projects, which are targeting high-grade, shallow potash deposits that are favourably located on the coast of Gabon and on major transport river ways (barge) with direct access to export ports. 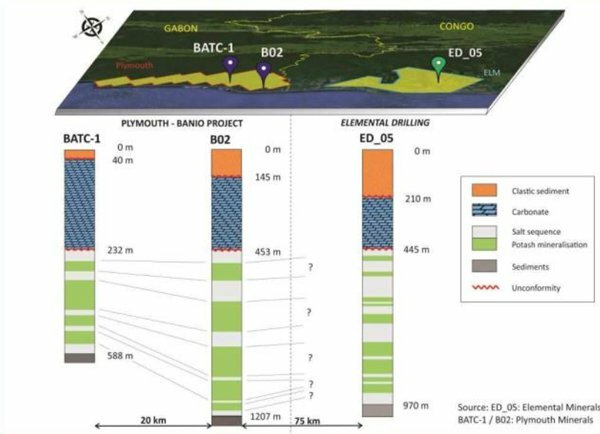 Banio has a multi-billion tonne Exploration Target of carnallite and sylvinite based on historical seismic and drilling data. The current drilling program aims to provide a more specific understanding of the size and geological characteristics of the sylvinite and carnallite mineralisation, as well as confirming current resource information and potentially expanding the resource. Plymouth mobilised the exploration camp and drilling equipment in Q1 2016 and commenced drilling (BA001) as announced on 20 March 2017. The intersection of thick zones of potash mineralisation in this second hole supports management’s targeting philosophy. It should be noted here that this is an early stage play operating in a high risk region. So investors should seek professional financial advice if considering this stock for their portfolio. Geological logging in the second hole has confirmed the presence of multiple potash beds in close proximity to the top of the salt sequence. Significantly, at Kore Potash’s Sintoukola deposit, 85 kilometres to the south, these multiple beds are host to high grade sylvinite mineralisation as illustrated below. Drillhole BA002 which was specifically designed to test for shallow wide zones of potash mineralisation, successfully intersected such mineralisation and was collared approximately 50 metres north of historical oil exploration drillhole BATC-01. BA002 reached an end of hole depth of 516 metres. The drill core has been processed and samples dispatched to the laboratory for analysis. Integration of the results of the down hole data will assist PLH with confirmation of mineralisation and discrimination between the targeted sylvinite and carnallite mineralisation. The potash mineralisation being targeted is interpreted to lie adjacent to a structural corridor trending broadly ESE-WNW within the Banio permit area, which coincides with the interpreted hinge line of the Gabon/Congo evaporite basin. The boundaries of this corridor are interpreted to have been identified in BA001 and through further seismic data interpretation. With results from chemical analysis anticipated in June, there could be near-term share price catalysts for PLH.